Just 30 minutes of walking each day can grant a range of health benefits. Fitness meets exploration in a wide range of walking tours available on the Island. There is an impressive amount of data validating the significant health benefits of walking—this is particularly good news for frequent travelers, who can take their workout with them wherever they go, and explore their destination while exercising. A study published by Harvard Medical School states that just 30 minutes of walking per day can grant health benefits that include weight loss, improved blood pressure and lower risk of coronary artery disease and heart attack, along with protection against diabetes, dementia, depression, cancer and other diseases. Guests and members at Sea Island can also take in the magnificent coastal setting while participating in walks led by naturalist Raleigh Kitchen and historian Wheeler Bryan Jr.
During the Tree Spirits Tour this fall, participants can embark on an evening tour led by Bryan that is filled with unique sights and stories. During the excursion, seven mysterious creatures reveal themselves to entertain and excite those with an adventurous spirit. Another option is the Pathfinder Program, which was created just for younger guests. During this engaging adventure, participants between the ages of 7 and 14 have the opportunity to go behind the scenes and learn about the fascinating history of the resort. Kitchen, on the other hand, takes guests outdoors for an hourlong expedition into the maritime forest and salt marsh habitats on Sea Island during the Marsh Habitat and Wildlife Walk. Along the way, the naturalist shares her knowledge of these unique habitats and the wildlife within them. Kids ages 7 to 14 can also get moving during the Sea Island Junior Naturalist walks led by Kitchen, where they explore unique barrier island ecology while keeping their eyes peeled for local birds. The options don’t end there. 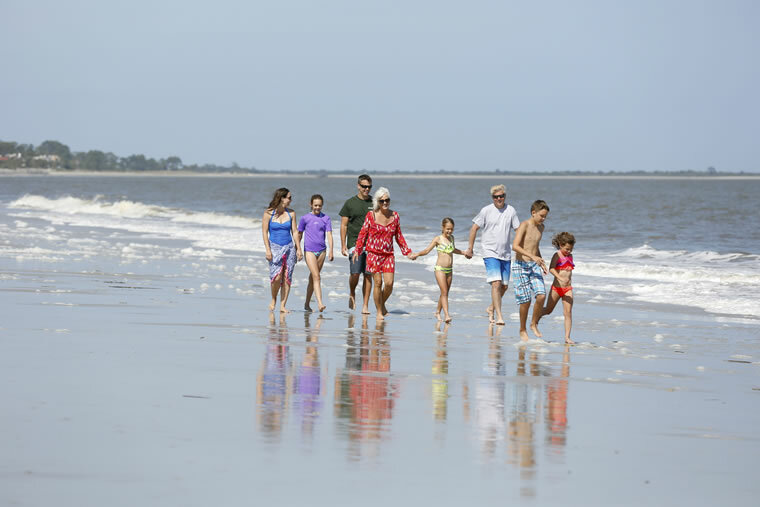 Sea Island also offers the Sea Turtle Education and Night Walk, which includes information on the hatchlings and their mothers, as well as the Hawk Walk on Rainbow Island, where members and guests can watch a bird of prey take to the skies. Wherever your path leads you, each experience combines fitness with fun for a unique way to explore and learn about the Island.